By Luis Bueno – RIVERSIDE, CA (Apr 17, 2019) US Soccer Players - For two-plus seasons, the LA Galaxy has failed on all fronts. No playoffs. No runs at championships. No presence in the Southern California sports landscape. After its third makeover in as many offseasons, there seemed to be more questions than answers, the main question being, how long will it take the Galaxy to get back to its . . .
By Luis Bueno – RIVERSIDE, CA (Apr 10, 2019) US Soccer Players - For the start of its second season of existence, Los Angeles FC has taken a different approach. Instead of a sophomore slump, LAFC has propelled itself to even further heights. LAFC is flying so high and looking so good doing so that the team may not come back down to the ground any time soon. The class of the league through the . . .
By Luis Bueno – RIVERSIDE, CA (Apr 4, 2019) US Soccer Players - After more than two decades of existence, MLS may have entered into a new era. The weight of the crown might finally be getting too big to carry. In the league’s first 21 seasons, the defending champions had only failed to reach the postseason twice. However, last year Toronto FC followed up its championship by missing the playoffs. . . .
By Luis Bueno – RIVERSIDE, CA (Apr 3, 2019) US Soccer Players - The 2019 Concacaf Champions League is entering its home stretch. As usual, Liga MX clubs dominate the landscape. MLS has not been completely shut out of the festivities, though. Sporting KC still has a pulse, the last team standing from the MLS contingent that could've taken three out of the four semifinal spots. Of those MLS teams, . . .
By Luis Bueno – RIVERSIDE, CA (Mar 20, 2019) US Soccer Players - MLS received potential good news last week when FIFA opted to expand the Club World Cup. Under the current format, only seven teams participate with the Concacaf Champions League winner representing this region. That means Liga MX clubs in the Club World Cup. That could change. 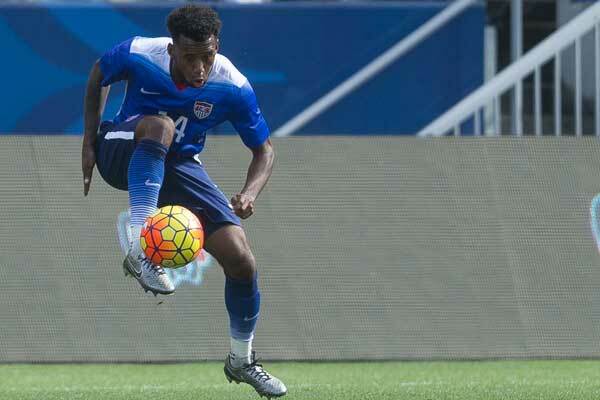 Concacaf will receive three of the 24 spots in the . . .
By Luis Bueno – RIVERSIDE, CA (Mar 13, 2019) US Soccer Players - Los Angeles is a two-team sports town. Fans have a wide array of teams to choose from, be it Dodgers-Angels in Major League Baseball, the Lakers-Clippers in the NBA, Rams-Chargers in the NFL or Kings-Ducks in the NHL. What is less common though is having two LA teams to choose from come playoff time. For Southern California MLS . . .
By Luis Bueno – RIVERSIDE, CA (Mar 6, 2019) US Soccer Players - The first MLS Power Rankings of the year can be tricky. Teams are starting from scratch, and yet they are not. It is not fair to rank teams based on their results from 2018, but it is difficult to know which offseason acquisitions will pay off and which ones will not. Throw in the fact that every team has already played one league . . .
By Luis Bueno – RIVERSIDE, CA (Mar 6, 2019) US Soccer Players - When the LA Galaxy pulled the trigger on a major transfer in the summer of 2015, it looked like a bit of game-changer. In August 2015, the Galaxy acquired Giovani Dos Santos from Villarreal. It took a hefty transfer fee, but LA looked to have landed the eventual heir to Robbie Keane’s attacking throne. With that move, the Galaxy did . . .
By Luis Bueno – RIVERSIDE, CA (Feb 27, 2019) US Soccer Players - Competition brings out the best in everyone. Whether it's two goalkeepers competing for one spot or strong teams testing each other, the challenge brings out the best in a player or organization. Having two teams in Los Angeles created such a competition. More to the point, it revived it. The LA Galaxy had Chivas USA to deal with . . .